Yay. two-thirds of the way done and I have a weekend to finish up. Daunting but I think doable :). 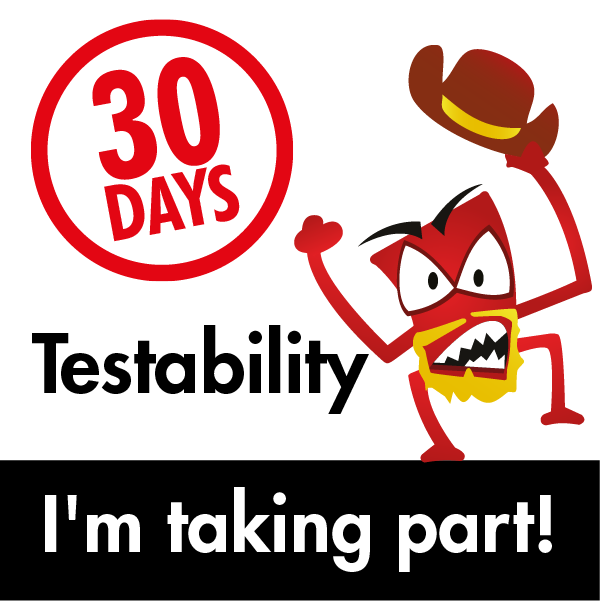 Head over to "30 Days of Testability" to play along. 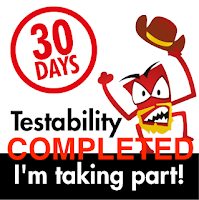 Think about what’s currently stopping you from achieving higher testability. Share your findings on The Club. Am I being a spoilsport by writing everything here? I do use the hashtag so hopefully, that helps. 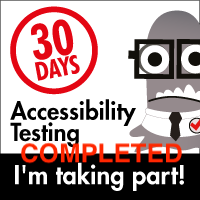 I will follow up and put the findings on the threads after I finish. 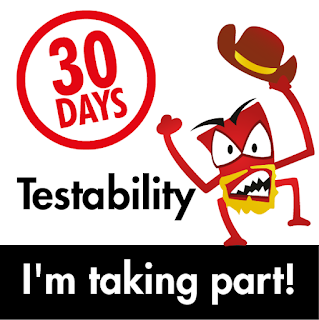 In any event, what are the things that are preventing or hindering higher testability? I think I have answered that already but here's a short review. - An expansive system that can be configured in a large variety of ways. - Widgets that are content generation, content representation and meta-data specific. - Microservices that connect to a lot of different things and groups that I need to get a better understanding of. - Aging components that are in the process of being updated. Again, I don't think any of those are terribly controversial and are probably similar to a lot of organizations. The good thing is that the more exposure I get to the various components and the more I work with them, the clearer the issues become and the better I can speak to them. You'd think that a platform that I've been working for 6 1/2 years I'd probably know very well but I learn new stuff all the time. Hey, beats the alternative ;).